Chinese characters look the same to us Westerners in the sense that they all seem equally complicated, but when we look closer, we find that there are actually many structurally different types of Chinese characters. 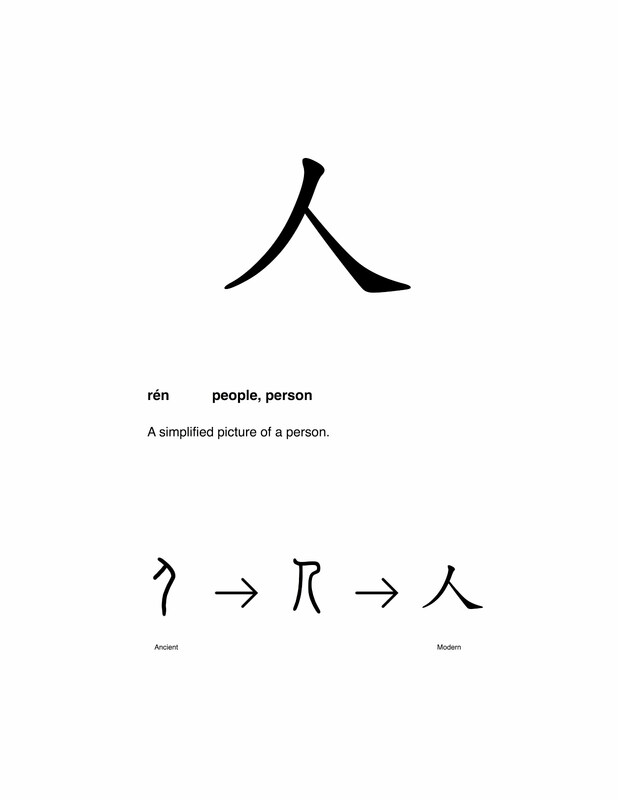 Some of them are really pictures of whatever they represent, so for instance 人 'person' is really a picture of a person and 女 'woman' is really a picture of a woman. Then there are other types of Chinese characters, much more abstract and much more complicated, with fancy names like the phono-semantic compounds or derived characters and I would like to introduce them to you one by one. This series of articles will be an end result of a project which I have been working on for over three and a half years. I will be publishing a book on Chinese characters and wanted to give you a glimpse of what will be inside as well ask you for any comments or suggestions you might have to make the book as enjoyable and useful as possible. In line with my philosophy of minimalism and effectivisim, the book will be very clean and easy to use, combining the absolutely best modern Chinese character research with the best learner experience. A lot of time and effort has been put into transforming the complicated research data into easy to understand 'look once, understand immediately' chunks. No clutter, or lumping of information onto the reader. Just an enjoyable learning experience. For more information and regular updates about this and my other projects feel free to subscribe to my mailing list. picture character!!!! it's amazing how it evolves from long time ago until the characters today. I'm from Malaysia but a lot of us has chinese heritage and it's a proud that we keep learning chinese until today. Hi Vladimir - when will the book be ready? I'm keen to buy it already! If all goes well, it should be out by the end of September. Hi, I want to know if the book will be also in Slovak language , or only in English? And if it the book will be available in Slovakia's bookshops too? Hello Patrik. The book will be available only in English for now, but I would like to translate it into other languages later. It will be published as a PDF only, so it will be available in Slovakia too. I hope you did not cancel this fantastic project of a book, if it comes out as an actual book, I will even buy it, this simplistic style paired with minimalism is unique. Your Youtube Videos are a pure archive of knowledge about the Chinese orthography. Thank you very much! :) It's almost done. There's always something that needs a bit of tweaking but it's almost done. I'll be posting updates here and on my youtube channel.